If you want to have something a little special but don't want to eat dinner at a restaurant, order dessert to go! It's an easy way to change up your normal Valentine's Day but won't break the bank. Plus if you have kiddos, this is something special you can do with them as well and they will think it's "fancy" and fun! Check out the unique dessert spots in your area and see if they will let you order a few hours in advance. Who doesn't love spending time in the kitchen with your spouse? I do! Mark and I used to cook together our first summer living together and it was awesome! We really need to start doing that again. Anyways, plan to tackle a new dish together and share the responsibilities of prep. Turn on some romantic music, crack open a bottle of wine, and enjoy some technology free time. If all else fails, make a pizza! If making a whole meal is overwhelming and takes too much prep, then pick up some of your favorite cheese, crackers, meat, and a bottle of wine. Take out a big blanket, some fluffy pillows, and have a floor picnic in your living room. Make sure to turn off the TV and just spend your time together. That's what this is all about.... spending time TOGETHER :) You can even order a pizza and have a floor picnic too. It's just about getting out of your regular day-to-day activities and doing something just slightly different. This is something that can be done on the cheap and set up in your own home. I love the ideas of doing this with kiddos too because everyone loves a fun game that will lead you to a present. 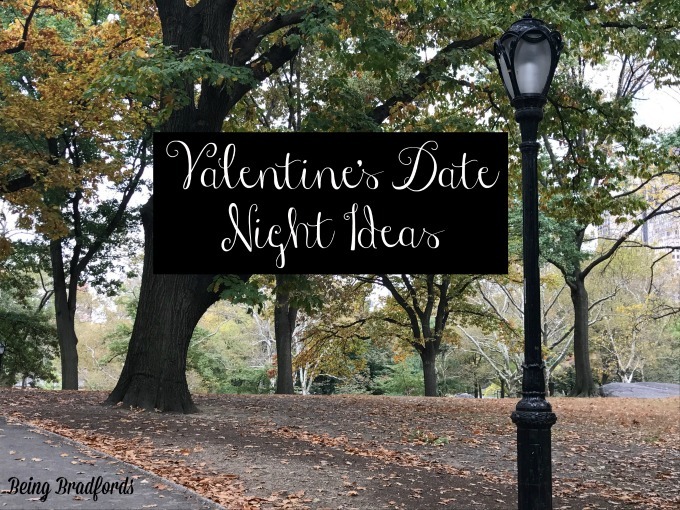 If you are doing this for a significant other, you can leave clues throughout their day and end with a fun date night or just lead them to you. Pinterest has great ideas if you need a starting place and so does Dating Divas, if you check out their website. Plus you don't have to do this tomorrow, set it up for this weekend! Another awesome way to spend dinner is to make a big pot of fondue. It's such a fun way to eat and once again, out of your norm. We did this a few years ago... actually it was the only other time we spent Valentine's Day together in 8 years lol. Sara if you're reading this... remember that night at our house with you and Dave?? You can do a cheese course, meat course, and dessert... or just go for the cheese, because duh, it's the best. This is pretty basic but sometimes you just need to stop all the busyness of your week, make a big bowl of popcorn, snuggle up on the couch, and watch a favorite movie. You can surprise your spouse by choosing their favorite movie or a movie that carries meaning for your relationship. This is one of our favorite things to do and it's just a nice way to tune out all the other interruptions, because let's be real, the work week can be so busy. You can even make a floor fort which is a FAVE in the Bradford house. :) Consider buying movie theater size candy and making other yummy snacks. Who needs dinner when you have buttery popcorn?? Trying out a new brewery or winery is something that Mark and I both love to do but why not setup your own tasting at home? Choose some different wines or beer, brown bag them so you hide the labels, and pour some tasters. You might find your new fave beverage! One of my favorite things to do is to send out and receive cards. I LOVE getting handwritten cards because there is just more thought put into them. Maybe you don't want to exchange gifts with your spouse, then exchange handwritten cards over a glass of wine or even a cup of coffee in the morning. The gesture doesn't have to be grand, it's just important that you tell your spouse how much you care about them.... all the time, not just Valentine's Day haha.